This FREE course is designed to give YOU the motivation and the BluePrint you need to push yourself as an entrepreneur with a systematic approach to pave the way for YOU "To Make Money in Minutes". Face it, we all need motivation in life and like food, it helps if you get a little bit of valuable nutrition every day. Now imagine having the proven recipe for making money, that’s custom designed by someone who’s generated more than $2.5 Billion dollars in sales. Meet Forbes Riley! 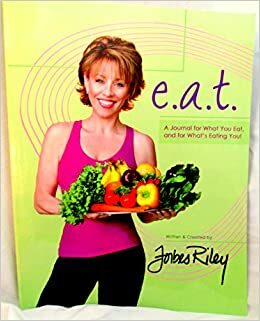 Speaker, Author, TV Host, Live Home Shopping Guest Presenter (for more than 25 years), creator of the fitness sensation, SpinGym, and the Queen of Infomercials. "Been there, Sold that" is one of her tag lines as she empowers you to go from the dreaming state of WANTING to be successful, up to your financial breakthrough. Guarantee: By the end of this course you will be inspired and motivated to make some serious changes in your business for the better. And with preparation, determination and a sprinkle of charm -- you too, can Make Money in Minutes! Anyone who understands you must, "Learn to Earn"
Entrepreneurs lacking motivation to attain their goals. People who need that extra push to get things done! YOU! If you want to quit your procrastination and FINALLY make money. This course is not for you, if you just want to sit back and do nothing. You will learn How to Make Money in Minutes and become a rockstar! You'll have access to hours of quality content, online resources, and much more. Lesson 1: More Money? Master Your Mindset! Lesson 3: The SECRET to How I Make Money in 90 Seconds - YOU CAN TOO!